Design engineers should be very careful when selecting precision resistors to be used in electric circuits. 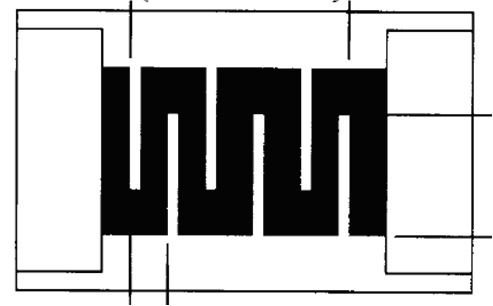 The low initial tolerance – the maximum difference between the defined and the measured resistance value after component production – provides adequate functionality to the circuit, while precisely kept resistance in time and due to environmental circumstances - such as temperature rise , shock or vibration - is necessary to provide stability of performance during lifetime of the electronic product. Digital electronics in general are less sensitive for resistor tolerances, but analog, especially measuring circuits can fail working right, loosing their stability when the applied resistors are not keeping their values. In this paper we review those factors, that have effect on system stability and introduce some interesting precision resistor families from Japanese leading manufacturer SUSUMU. PCR (Power Coefficient): This factor describes the affect of self heating (I2R) generated thermal shock, caused by sudden energy change. Other factor describing reliable resistors is the load life stability, which is the ability to handle high loads or long term high temperature. High humidity or high containment of waste gases in the surrounding air are one of the greatest influence factors on long term stability of thin film chip resistors. It is necessary to protect the resistive element on the chip well. While the normal attempt to use a single layer of epoxy may be the economical way for production, the expected drift after 1000 hours of operation at 70°C. with rated power (90min. on / 30min off) is about +/- 0.5%. Susumu’s RR type, which uses dual layer of epoxy protection coating, offers drifts less than about +/- 0.25% after the same test. 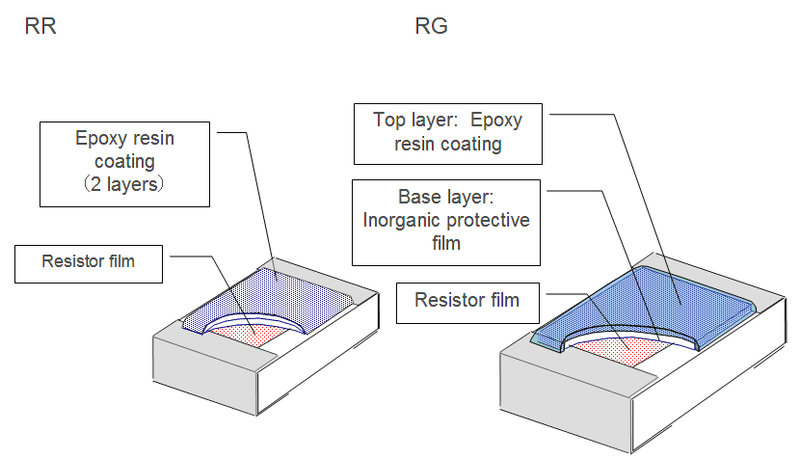 For high reliability applications such as automotive, Susumu offers the unique RG type which uses a Si2O3 glass passivation directly on the resistive material plus an epoxy over coating. Drift after the a.m. test is typically less than +/- 0.01%. Developers of electronic circuits often use trimmable potentiometers for final tuning of their devices at last step of mass production. This solution has some risks, as the misalignment and drift of the resistance value may make the circuit unstable. Susumu offers a solution for this problem by introducing the trimmable thin film resistor family RT. They make this precision resistor family with laser trimming on the way, that it can be further trimmed at final assembly by laser cutting exactly to the desired resistance value. On this way the tolerance of the resistor as well as the long term stability can be enlarged by orders of magnitude. Elektronet 2015/3 Elektronet : elektronikai informatikai szakfolyóirat, 2015. (24. évf.) 3. sz. 24-25. old.